Stephanie has been working alongside Dr. Calleros as her Registered Dental Hygienist for over eight years. She and Dr. Calleros have a great partnership and work well together to provide the highest standard of care to all patients. Her love for dentistry started at a young age and it’s only fitting she has made a career out of it. She thoroughly enjoys being able to help her patients achieve total health by improving their oral health. 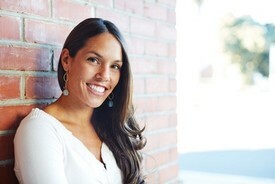 Stephanie received her Bachelors of Science in Kinesiology from San Diego State University and later attended Dental Hygiene School at West Los Angeles College in Culver City. She is also a Laser Certified Dental Hygienist and an active member of the American Dental Hygienists’ Association. She takes a special interest in Laser Dentistry, taking advanced continuing education laser courses to stay abreast of current research and technology to ensure our patients are receiving the very best treatment available. In the future, Stephanie would like to venture into dental consulting. She hopes to have her own consulting company in which she trains dental practices to grow and prosper through ethics and integrity. Serving the community is important to her as well. Most recently, in September, she traveled to Guatemala to provide dental services to an impoverished community through the Open Wide Foundation. Each year she coordinates a day with local agencies such as Habitat for Humanity and the 1736 Family Crisis Center, where the office and other volunteers provide dental services to underserved families, who do not have access to regular dental treatment. She participated in Maria Shriver's Modern House Call for Women in Long Beach. Whether it be adopting families in need for the holidays or participating in charity fitness events which raise money for cancer, childhood obesity, and many other great causes Stephanie truly enjoys giving back to the community and helping those in need. Outside of dentistry, Stephanie enjoys many fitness activities and challenging herself mentally. You can find her on a long bike ride along the coast, hiking up a hillside, training for a triathlon or her next marathon. Becoming a first time Ironman in 2011 is one of her most notable accomplishments. Her awesome husband, Jason, who owns Estrada Fitness, also located in El Segundo, supports her every step of the way. They first child, Elijah, was born in May 2014 and daughter Nylah was born in the Spring of 2017 . She loves the beach and the sun and couldn’t imagine living anywhere else but the South Bay. We are so grateful to have Lyndsay on our hygiene team. She has transitioned seamlessly and patients love her. She attended the West Los Angeles Dental Hygiene Program and graduated alongside our other awesome hygienist, Marissa. With a passion to help others feel good about themselves, you will leave every appointment with a huge smile and full of encouragement! Growing up in Arizona, she is a part of a lovely blended family, for which she is so grateful to have been raised with such love and support. She is now living back in Marina Del Rey, where she lived and worked in bar and restaurant management during her schooling and met some of her closest friends. Being near her friends, socializing, eating sushi and going to happy hour are a great source of enjoyment for Lyndsay. She also loves sports, hiking, animals, and sitting at the beach. 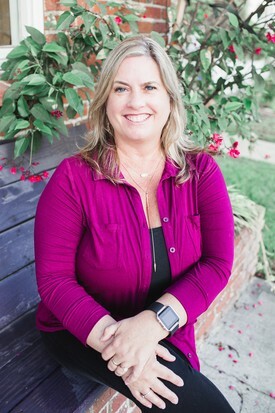 "Working at Calleros Dental has allowed me to grow as a professional while connecting with my fellow El Segundo residents. It is the best of both worlds." 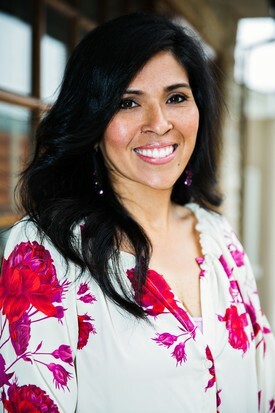 Dr. Calleros met Marissa through a long time friend and is thrilled to have her join the Calleros Dental Team. She was introduced to the dental field by her dentist at a young age and instantly knew she wanted a career in dentistry. 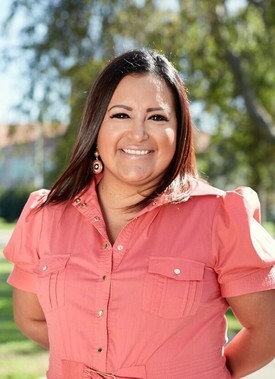 While attending California State University Dominguez Hills, where she received her Bachelor’s Degree in Sociology with a minor in Anthropology, she began her dental career. With over 17 years of continued dental experience, which includes working at the UCLA School of Dentistry where she was awarded employee of the year in 2010, she decided to take her career to the next level and pursue dental hygiene. This lead her to the West Los Angeles College Dental Hygiene Program, where she furthered developed her leadership skills as class President for two years. Finally achieving her goal of becoming a dental hygienist, she looks forward to many more years of providing the highest standard of care to each patient. She is also an active member of the American Dental Hygiene Association. In the future she plans to work towards her Masters in Dental Hygiene and become a dental hygiene instructor. Near and dear to her heart is her family. She has been married to Ron (R.C. ), her biggest supporter, for 13 years. Together they have two children, Mateo and Gabriella. Being long-time residents of El Segundo, her family is very involved in the community and schools. They are huge supporters of UCLA and attend as many Bruin events as possible. Go Bruins! Wanting to give back to the community they are from, she and her husband have been running a non-profit organization called the Inland Empire Future Leaders, for past 13 years. Her dedication to this educational leadership program enables her to serve 150 high school-aged students and 75 staff members where she engages a diverse staff and plans and implements student and parent workshops focused on cultural awareness and educational success. However, her willingness to give back does not stop there and she volunteers each year at the Care Now LA Health Fair, where she provides free dental services to underserved communities. Marissa looks forward to spending quality time with her kids and helping them at school. She embraces her hobbies which include reading, running to the beach and arts & crafts. 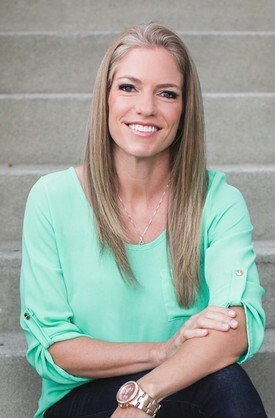 Jennifer was born and raised in Torrance, California and attended West High School. After having three children, including a set of twins, she decided to use her natural care-giving instincts and abilities to pursue a career in dentistry. She graduated from Bryman College in 2000 and has 18 years of experience. She loves continuing her dental education and has taken many Cerec seminars to improve her skills and knowledge. Patients feel more at ease when Jennifer is at their side, with her warm demeanor and cheerful laugh. Her wealth of knowledge and experience ensure an efficient and enjoyable patient experience. When not in the office, Jennifer enjoys the outdoors, movies, and spending time with her children. 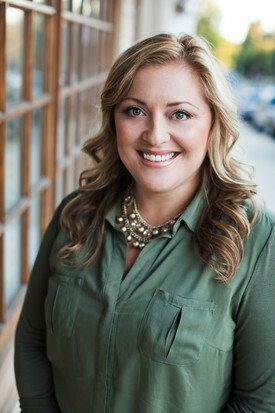 Jackie comes to us from a highly respected referral source at Patterson Dental. We are excited to have Jackie on our team for two years now, as she brings a lot of passion and a wealth of knowledge and experience. Graduating from Bryman College in Los Angeles she became a Registered Dental Assistant and worked with Dr. Frawley in Beverly Hills for 17 years before making the difficult decision to find an office closer to her home. Jackie has felt no regrets as she fits right in and the transition has been smooth. Look for Jackie to provide a warm and caring personality to help you feel completely comfortable at each visit. Family is first for Jackie, and now that she is working so close to home she is able to spend a lot more quality time with them. Her family includes her wonderful husband of 20 years, Jorge, and her three beautiful daughters Sophia, Isabella, and Daniella. A majority of the time she is cheering her daughters on at their soccer and softball games. Her favorite weekend past time is attending her family and friends' functions and parties. Cindy is a perfect addition to our team. With her infectious smile and over 20 years of dental experience you can be assured she will handle all your needs graciously. She was born and raised in Hawthorne, Ca, attending Hawthorne High School and then went on to college at San Diego State University. Upon returning back to the South Bay, she married her high school sweetheart, Alberto, and they will be celebrating 17 years of marriage soon. 6 years ago they were blessed with a miracle baby boy, Noah. Becoming a mother has been one of the best things that has ever happened to her. She recently moved to a new home and she enjoys spending time with family there. With a passion for make-up and hair, you know she will always show up looking her best and she has become our Calleros Dental fashion consultant too. She has a love for reading and traveling as well. We are delighted to have Julie on our team. She worked with Sandy, our financial coordinator, for many years, so we know she is highly capable of delivering the personalized service each patient deserves. 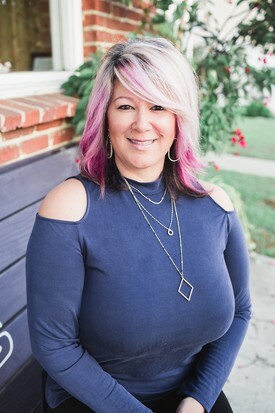 With over 30 years of dental experience, including becoming a Registered Dental Assistant, having a designated subjects teaching credential for dental assisting where she taught dental radiography for seven years, and comprehensive knowledge of insurance and other front desk duties, she brings a multitude of talents our patients will appreciate. Julie will cheerfully help clarify any insurance, treatment, or appointment questions. Growing up in Torrance, she is a South Bay Native, graduating from West High School. She has been married to her husband, Bob, for 26 years. Together they have a 21 yr old daughter, Kelsey, and a chihuahua, Cody. Julie most enjoys spending time with her family and friends. Other hobbies she takes pleasure in are yoga, gardening, going to the beach, and camping.